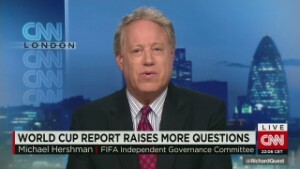 (CNN) -- It's the question that everyone has been asking -- and now FIFA is ready to give us the answer. 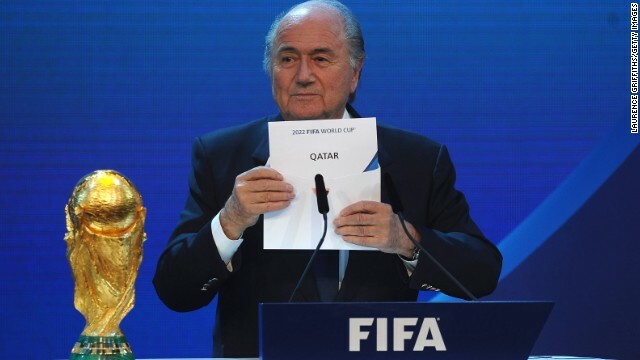 Just what happened on December 2, 2010 when football's world governing body FIFA decided to award the 2018 World Cup to Russia and the 2022 tournament to Qatar might be about to be revealed ... or not. The world governing body says it will publish a redacted version of Michael Garcia's report into the alleged wrongdoing surrounding the 2018 and 2022 bidding process. The move came following a two-day meeting of the organization's executive committee in Marrakech, Morroco. Possibly not a lot more to be honest. The report cannot be published until legal proceedings against five men facing charges from the ethics committee have been concluded. Three members of the committee -- Spain's María Villar Llona, Wowrawi Makudi, of Thailand and Belgium's Michel D'Hooghe -- were being investigated by Garcia for either alleged code breaches during the bidding process or for failing to comply with his probe. Blatter also confirmed that Garcia has been replaced by his deputy, Cornel Borbély, who he describes as "an outstanding lawyer." 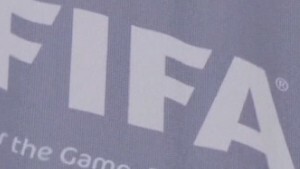 FIFA had always maintained that it could not publish the full report, compiled by independent investigator Michael Garcia, because it would break witness confidentiality. But it turned out that not everybody agreed -- and neither did Domenico Scala, FIFA's head of compliance. 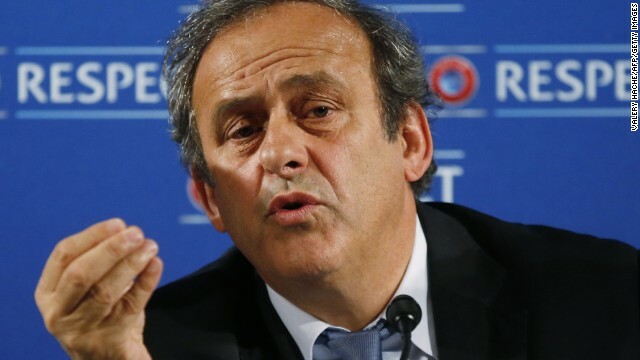 Michel Platini, the president of European football's governing body UEFA, and Sunil Gulati, the head of U.S. Soccer had both been advocates of publishing the report. 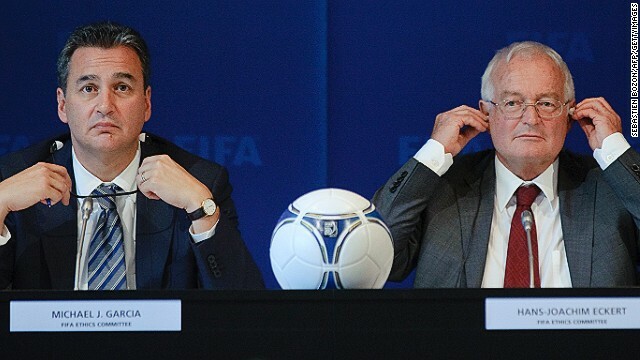 Several leading figures such as vice-president Jim Boyce, who told British Newspaper The Times that FIFA must take this "massive" opportunity to restore the public's trust in the organization. The report created tensions within the football world when Garcia said it should be published last September. FIFA didn't like that at all; his request was rejected and it came close to disciplining the New York lawyer for speaking out, according to Garcia. Instead, last month, Hans-Joachim Eckert, a FIFA judge, published a 42-page summary of the report -- only for Garcia to respond immediately by claiming the German's publication contained "numerous materially incomplete and erroneous representations." 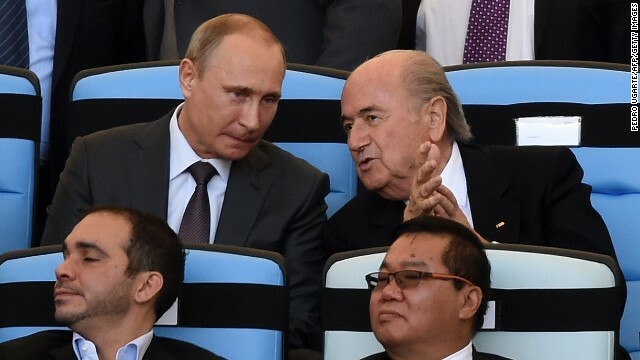 Eckert's summary cleared Russia and Qatar of any wrongdoing. When Garcia appealed against Eckert's findings he was told his complaint was inadmissible. 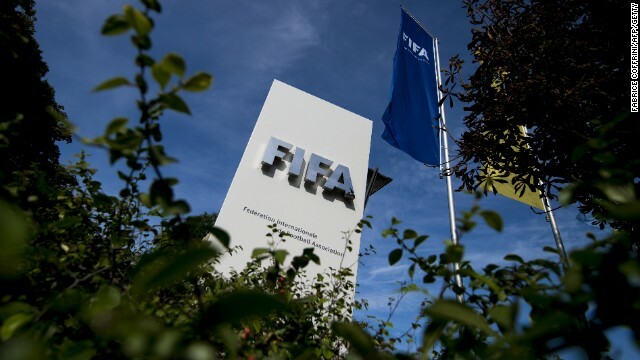 That was a decision which prompted the U.S. attorney to quit his role and launch a fierce attack on FIFA, accusing it of a "lack of leadership." 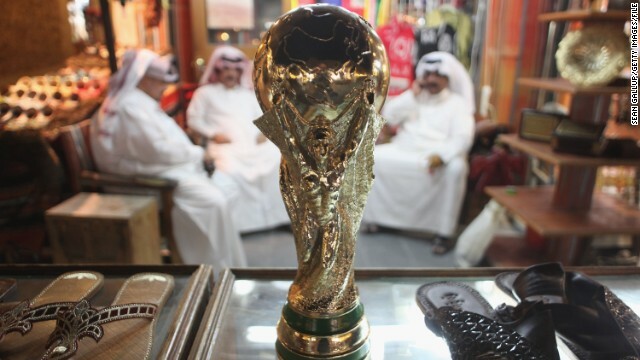 Aside from the politics, the World Cup is big business. According to Forbes, FIFA made $2 billion off the back of the 2014 tournament in Brazil. Not bad for a not-for-profit organization. Garcia was the man chosen by FIFA to head up the investigation into alleged corruption during the World Cup bidding process. He worked as the U.S. Attorney for the Southern District of New York between 2005 and 2008 on some of the highest profile cases in the city. When he took on the role of FIFA's independent investigator in July 2012 he promised to get to the bottom of what had happened. Over 19 months, he compiled a report examining each of the bidding teams and speaking to witnesses from across the world of football. His 430-page report was delivered in September and given to Eckert to read. Garcia quit on the eve of the meeting in Marrakech and didn't go quietly. In a statement issued just 24 hours after his appeal was rejected, Garcia made public his frustration. Thierry Henry has called time on a long and distinguished football career. The former French international, who turned 37 last August, announced his decision on Tuesday. 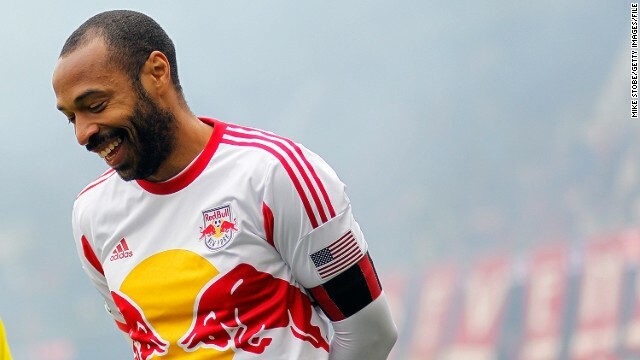 He has spent the last four seasons playing for MLS side the New York Red Bulls. Henry began his career with Monaco, playing in the principality between 1994 to 1999. 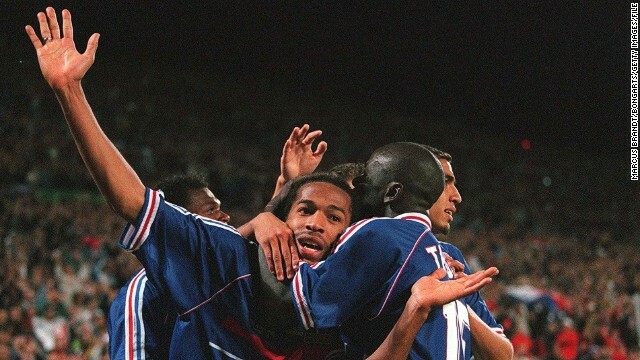 He rose to prominence at the 1998 World Cup, scoring three goals as France won the tournament in front of their home supporters. France's all-time leading goalscorer with 51 goals, Henry called time on his international career in 2010 after 123 appearances. 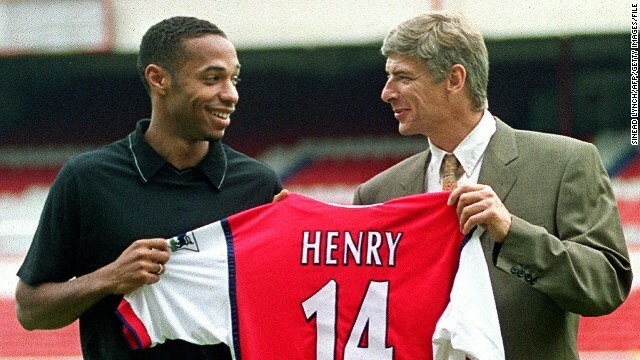 After a year with Juventus, Henry's career took off when he signed for English side Arsenal in 1999. Here, he holds his newly pressed shirt with Arsenal manager Arsene Wenger at the North London club's old ground, Highbury. Henry wheels away after scoring his 100th Premier League goal for Arsenal against Southampton in 2004. He is Arsenal's all-time record goalscorer, netting 175 times for the club. Henry helped Wenger's side win two Premier League titles and three FA Cups. He was part of Arsenal's "Invincibles" team of 2003-04, which went through the season without losing a league match. In 2007, Henry moved to Spain, joining Barcelona. A successful spell included two La Liga titles, one Copa del Ray and a European Champions League title in 2009. 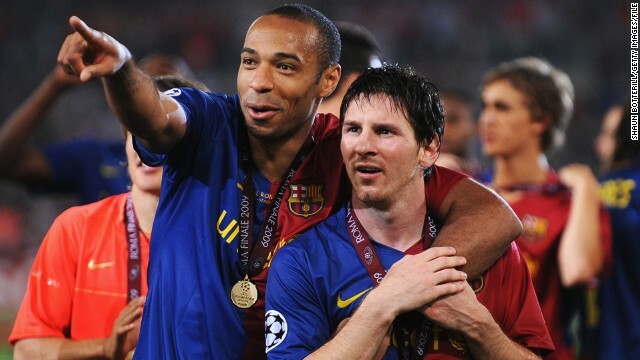 Henry with Barcelona talisman Lionel Messi following the Champions League final win over Manchester United in 2009. Henry had picked up a runners-up medal with Arsenal in 2006. 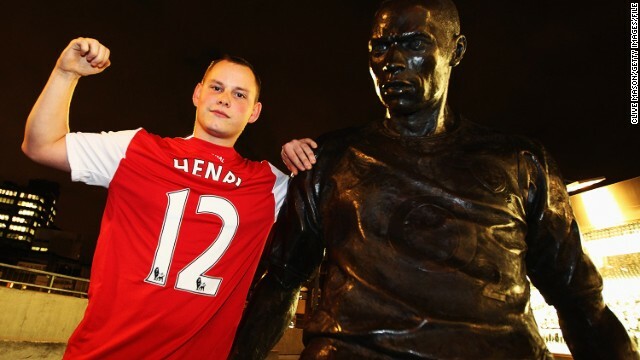 A bronze statue of Henry was unveiled outside Arsenal's Emirates Stadium in 2011. It became an instant hit with the North London club's fans. Henry returned to Arsenal for a brief last hurrah in 2012 playing four matches during a loan spell from the New York Red Bulls. He didn't disappoint scoring the winning goal in his first game back -- a third-round FA Cup tie against Leeds United. "He may be cast in bronze but he's still capable of producing truly golden moments," a TV commentator roared as the Frenchman celebrated. 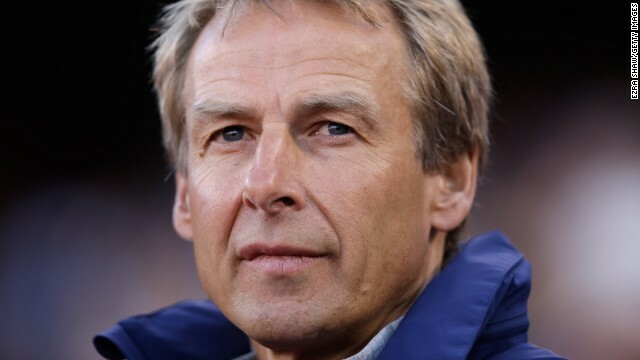 Jurgen Klinsmann replaced Bob Bradley as the U.S. manager in 2011. 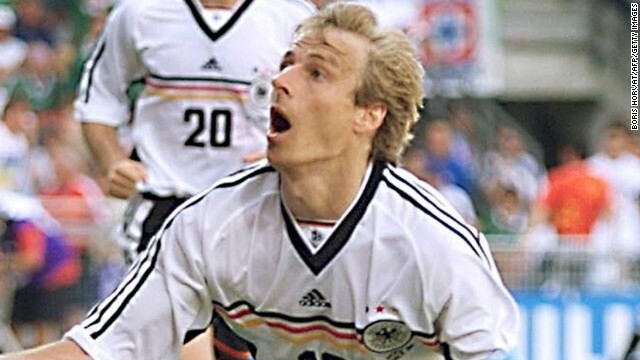 He came with a big reputation, scoring goals for Bayern Munich, Inter, Tottenham, Monaco, Stuttgart -- and of course the German national team. 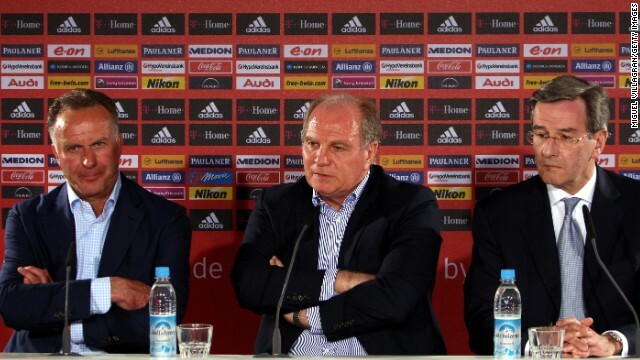 Under Klinsmann and assistant Joachim Low, second from left, Germany enjoyed a successful World Cup on home soil in 2006, too, reaching the semifinals. But Klinsmann, who would go on to become Bayern Munich's manager, was heavily criticized by Germany defender Philipp Lahm. Klinsmann didn't last one season at Bayern and was fired in April 2009. 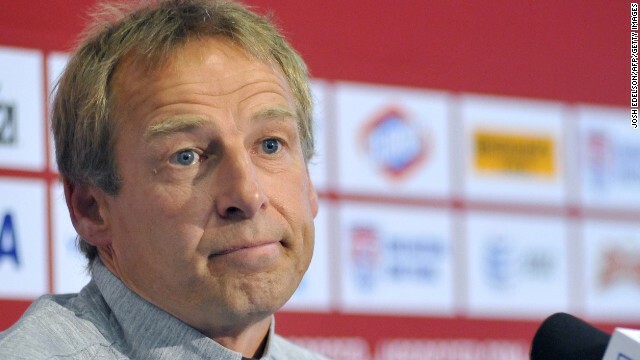 Klinsmann hasn't been given an easy ride by the U.S. media. A story last year citing unnamed people connected to the U.S. team came down harshly on the 49-year-old. 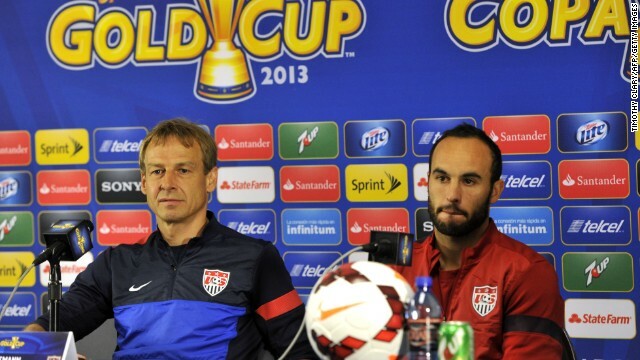 In his biggest call yet, Klinsmann omitted Landon Donovan from the U.S. 2014 World Cup squad. With Klinsmann at the helm, however, the U.S. achieved historic wins against Mexico and, pictured here, Italy in pre-tournament matches. 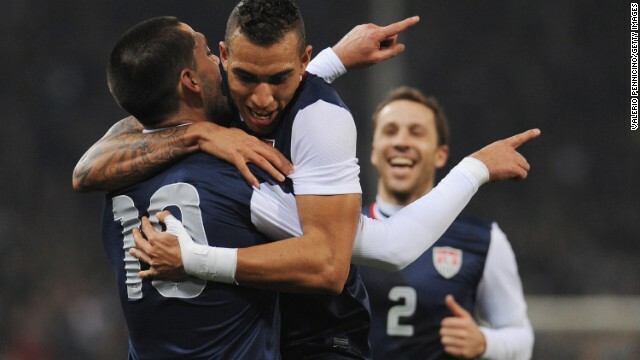 The USMNT reached the second round of Brazil 2014, before suffering extra-time elimination at the hands of Belgium. 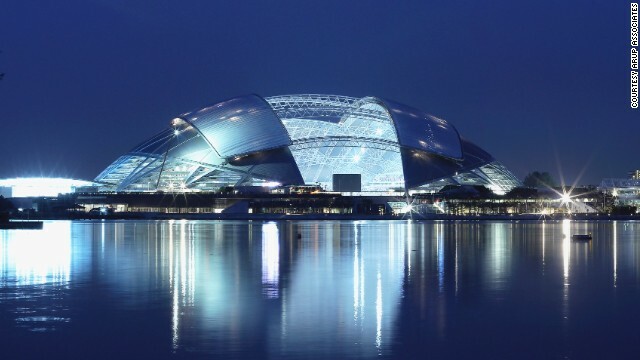 Today's stadiums are architectural feats of design which must elevate the senses, capture the spirit of a community, and become an icon of the city long after a sports event ends. 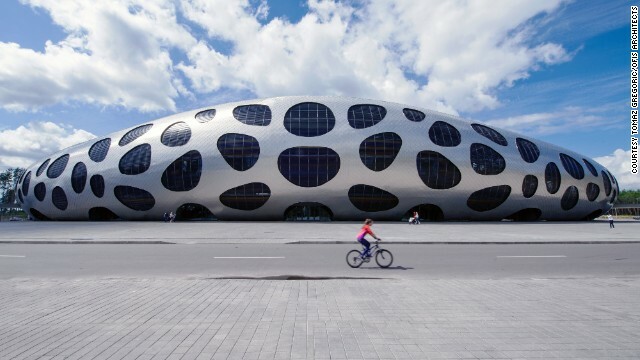 Here, the distinctive "spotty" Borisov Arena in Belarus is home to the country's football team. 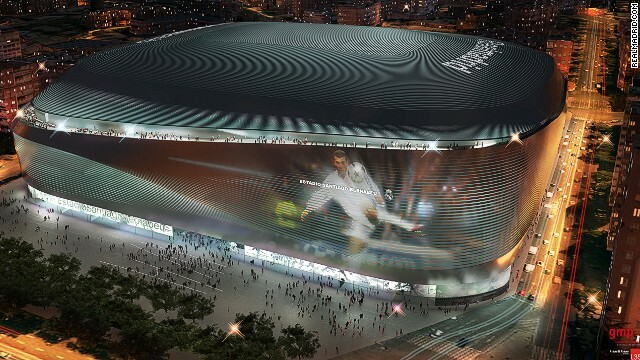 The space-age arena opened earlier this year and cost $37 million. 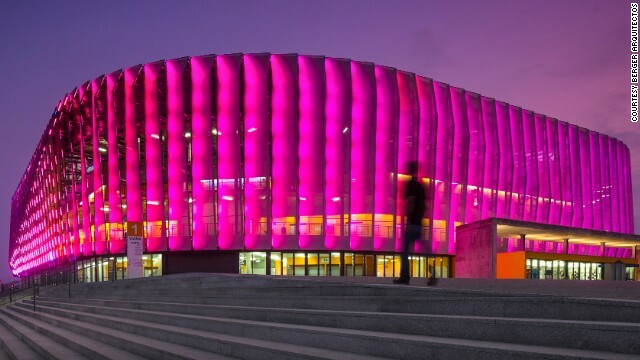 "The shape of the arena works perfectly both in terms of acoustics, as well as creating an introverted atmosphere," said designer Spela Videcnik, from Ofis Architects. "This introversion helps players to focus on a match, and the acoustics create a great supporting atmosphere." 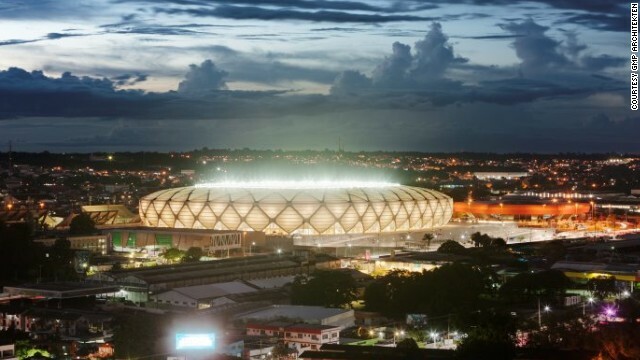 Built for this year's World Cup in Manaus, Brazil, the Amazon Arena's reptilian facade was inspired by wildlife in the surrounding rainforest. 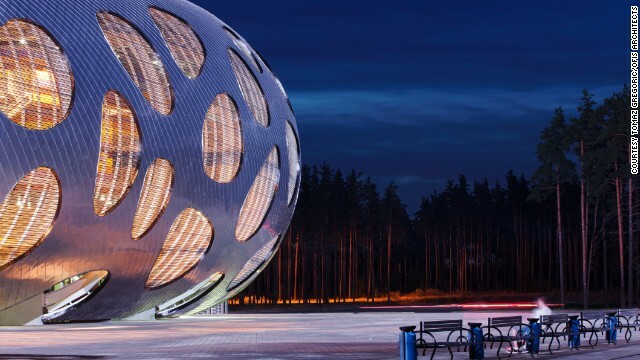 "If you look into the structures of nature like a leaf, or the skin of a snake, there's always a logical system behind it," explained stadium designer Hubert Nienhoff, of GMP Architects. "We're not in direct dialogue with the supporters," said Nienhoff. "But we have to understand their social and cultural background, the region and its history. That way we capture the whole spirit of the place." 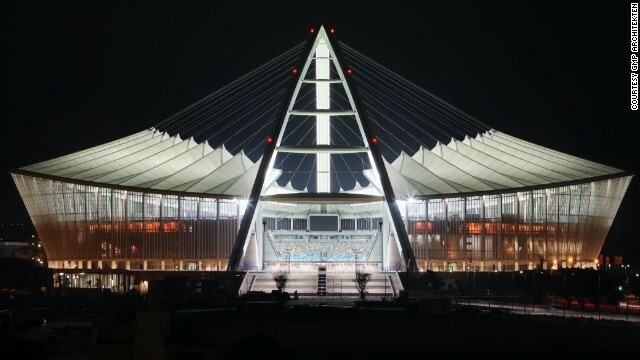 Nienhoff also designed the Moses Mabhida Stadium in Durban, for the 2010 South African World Cup. 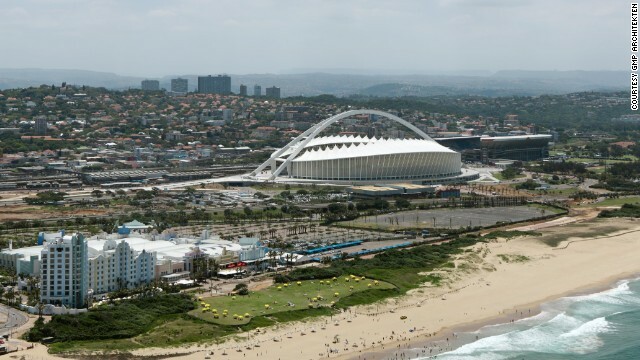 "The mayor asked us for something that would 'put Durban on the map,'" said Neinhoff. 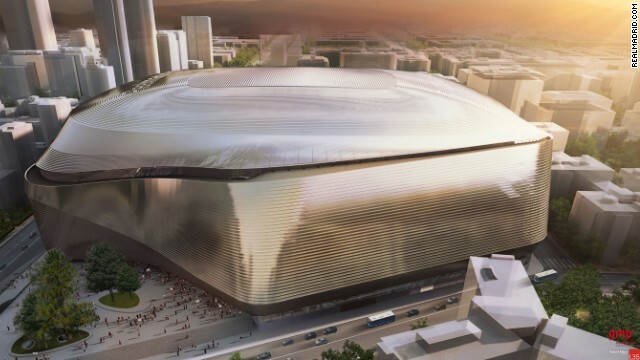 His architecture firm is also behind the $500m redevelopment of Real Madrid's home -- the Estadio Santiago Bernabeu. 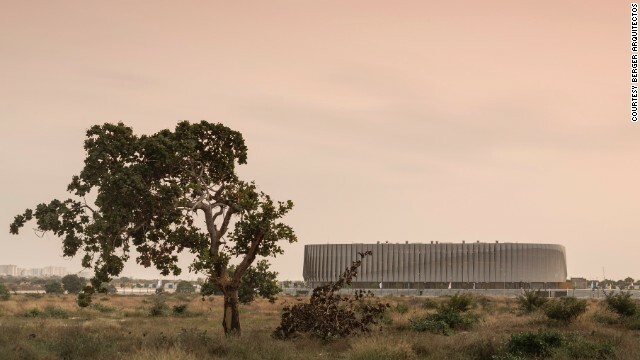 "We were inspired by medieval cathedrals, with all their sculptures and paintings around the building telling their stories," architect Volkwin Marg told CNN. Housing a retail area, restaurants and hotel among the attractions under its metallic membrane, the multipurpose arena will transform a stadium where construction began 70 years ago. 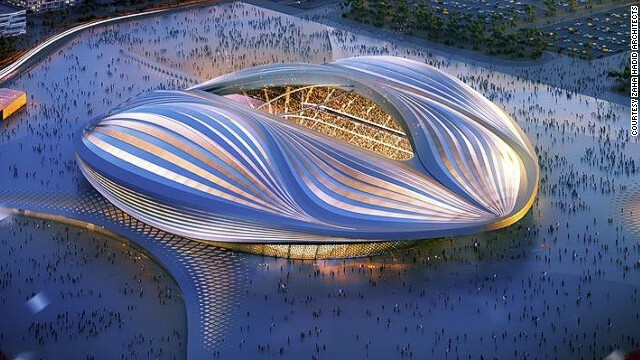 Celebrity Iraqi-born British architect, Zaha Hadid's design for the 2020 Olympic stadium in Tokyo was recently described Japanese architect, Arata Isozaki, as: "A turtle waiting for Japan to sink so that it can swim away." The 83-year-old warned: "Tokyo will surely be burdened with a gigantic white elephant." 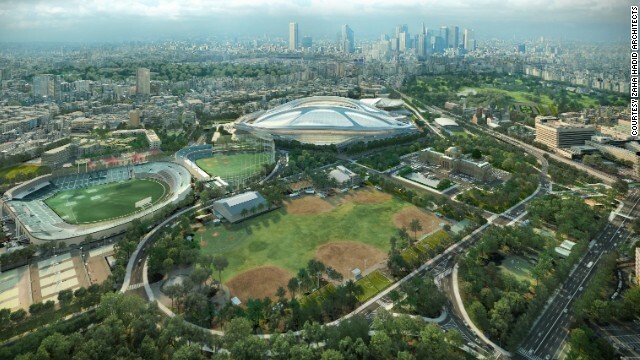 "While the New National Stadium in Tokyo will be used for the 2020 Olympic Games, the stadium is being built to host the widest variety of events in the future. 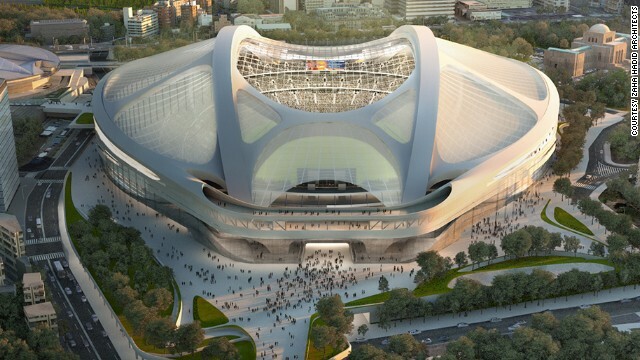 Its first major international event will actually be as a venue for Japan's hosting of the 2019 Rugby World Cup -- the first country in Asia to host the event," said Jim Heverin, director at Zaha Hadid Architects which designed the arena. "The key to a successful stadium is to design for these long term requirements, rather than the one-off event such as the Olympics." 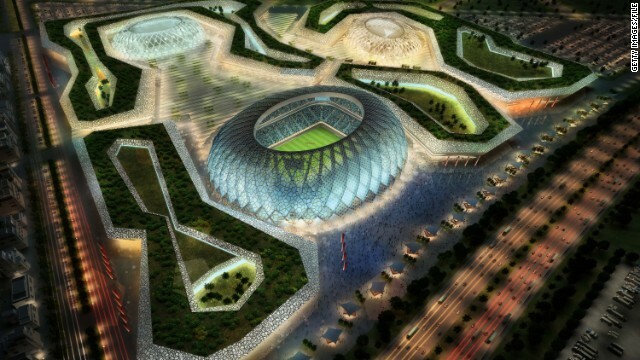 Hadid's firm is also behind the 2020 World Cup stadium in Qatar. 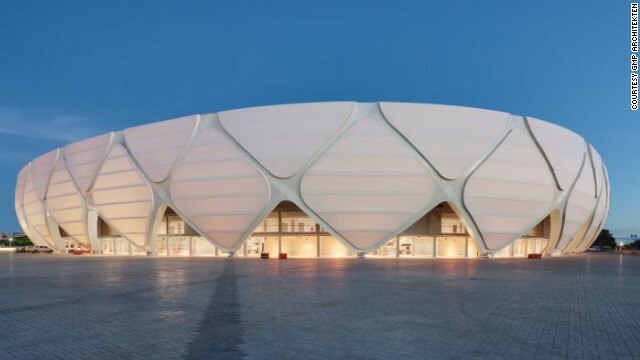 "The local Al Wakrah football team has been consulted throughout the design development by the client, as they will be the users of the stadium for generations after the 2020 Qatar World Cup," said Heverin. 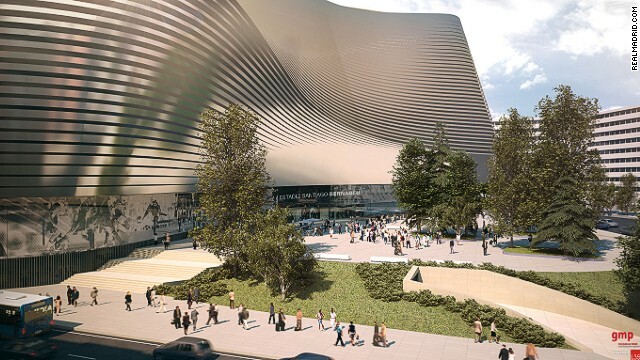 "There remains an ancient desire of humans to congregate together to watch others perform," said Jim Heverin, director at Zaha Hadid Architects. 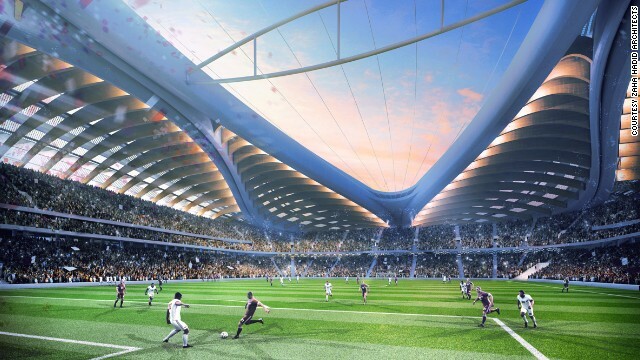 "So in many ways a stadium still needs to perform the same function as the Colosseum, and in many ways the success of future stadiums will be the ability to maintain the sense of collective congregation and a shared experience, whilst incorporating new demands." ... but at night its exterior panels light up in an ever-changing kaleidoscope of colors. "More important then capturing the spirit of a country or city, is to be able to read the dreams and hopes of its inhabitants," designers, Berger Architects, said of $90 million building. 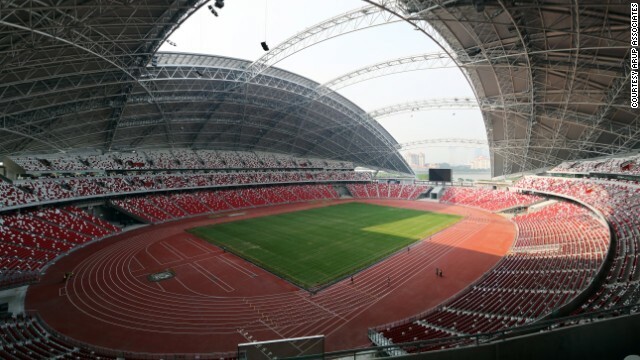 Winner of the sports category at this year's World Architecture Festival, the $1.3 billion Singapore Sports Hub features a 55,000-seater stadium, swimming pool complex and water sports facilities. 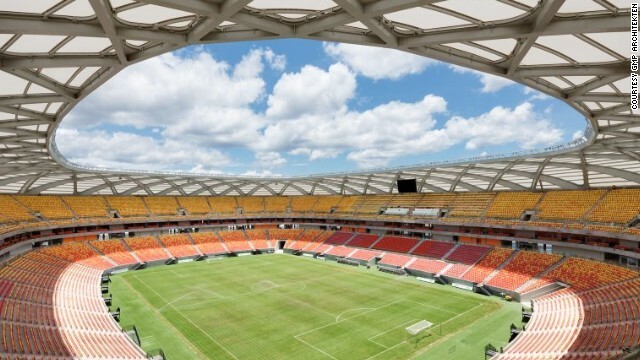 "I don't think anyone had really designed a successful stadium for the tropics before," said architect Clive Lewis of Arup Assocites. "In the past, if they had a tropical rainstorm they pretty much had to cancel the event. And that's where the dome roof concept came from." One of the biggest challenges for a stadium is to continue surviving the community long after a major sports event has ended. 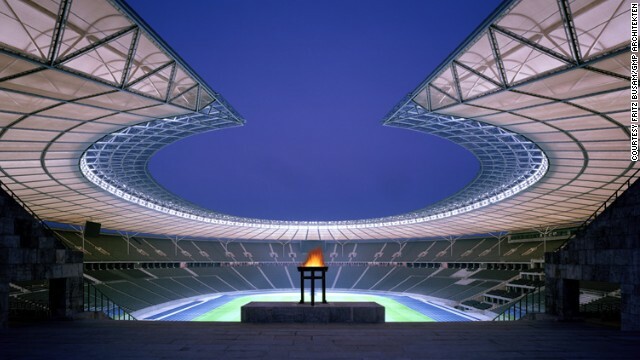 The Olympic Stadium in Berlin was originally constructed for the 1936 Games. 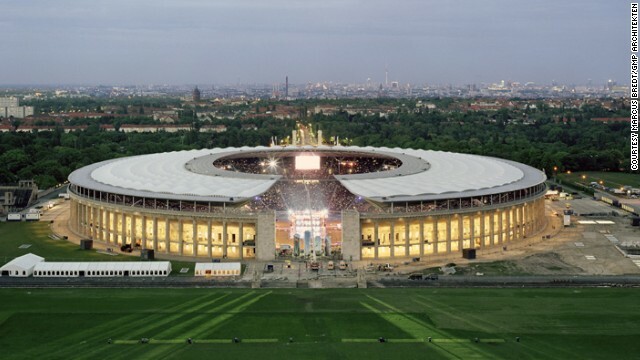 It was later redeveloped by GMP Architects and opened in 2004, eventually hosting games during the 2006 World Cup. 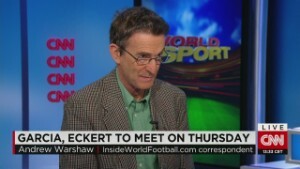 "It now appears that, at least for the foreseeable future, the Eckert Decision will stand as the final word on the 2018 and 2022 FIFA World Cup bidding process," he said. FIFA president Sepp Blatter said he was surprised by Garcia's resignation but that the "work of the Ethics Committee will nonetheless continue." What is going on at FIFA? FIFA has taken a battering in the press -- particularly the British press -- following its failure to deal with the furor surrounding the Garcia report. Football fans are growing tired of the body's refusal to reform, while former players such as England's Gary Lineker have taken to Twitter to vent their frustration. Sponsors such as Visa and Coca-Cola have both issued statements criticizing FIFA over its lack of transparency, while Sony will not be renewing its partnership with the organization when its endorsement deal ends in the near future. There is still widespread skepticism at the way Russia and Qatar won the rights to host the next World Cup even though both were cleared of any wrongdoing and deny any allegations of wrongdoing. Meanwhile Blatter, the president who is still going strong at the age of 78, is expected to stand for a fifth term as head of FIFA. That plan has angered both UEFA and the English Football Association, which have said is time for the Swiss to stand down. Blatter faces little competition to retain his presidency and is already assured of support from Asia, Africa and South America. 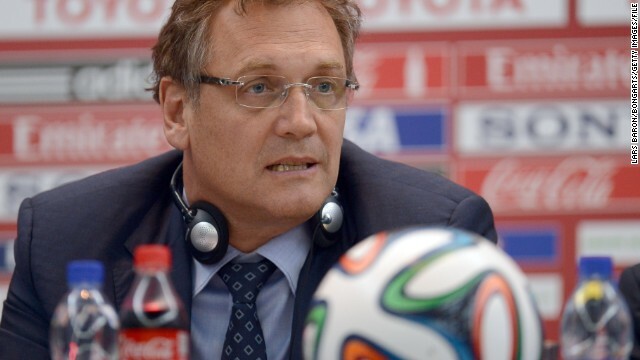 Jerome Champagne, the only man to have openly declared his candidacy, is unlikely to trouble Blatter at the polls. 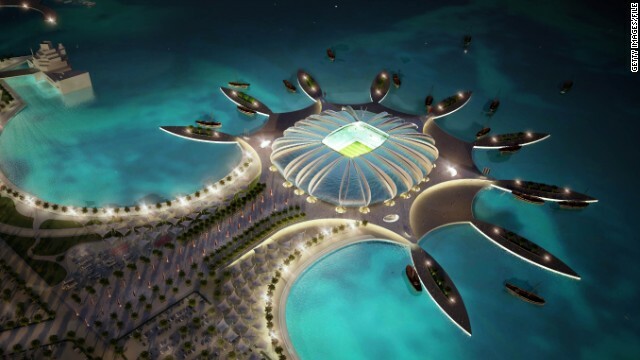 Will the World Cup still be held in Qatar? 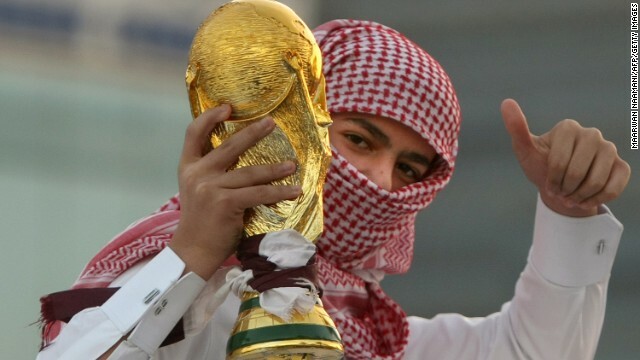 It looks likely at the moment, despite huge protests over the Gulf State's human rights record and the allegations of corruption which surrounded the bid, that Qatar will keep the tournament. Blatter certainly showed no sign of objecting, insisting that FIFA will not revisit the 2018 and 2022 vote. According to a report by DLA Piper and confirmed by the government, 964 workers from Bangladesh, India and Nepal died while living and working in the country in 2012 and 2013. The International Trade Union Confederation has estimated that 4,000 workers could die while working on projects by the time the 2022 World Cup begins. 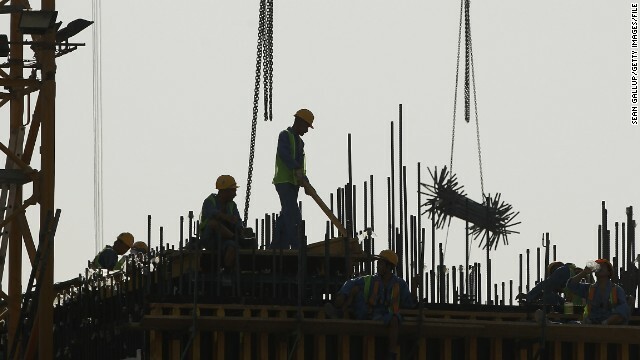 The Qatari government says there are more than over 1.4 million foreign workers currently plying their trade in the country and conditions are improving. According to the Qatar Supreme Committee for Delivery & Legacy, the organization responsible for the World Cup, huge progress has been made to improve the lives of migrant workers. It says that it "is committed to improving labor conditions for workers employed on 2022 FIFA World Cup projects and the Workers' Welfare Committee works to achieve the highest possible standards for those employed on its projects -- this not only includes construction workers, but also workers of service suppliers." 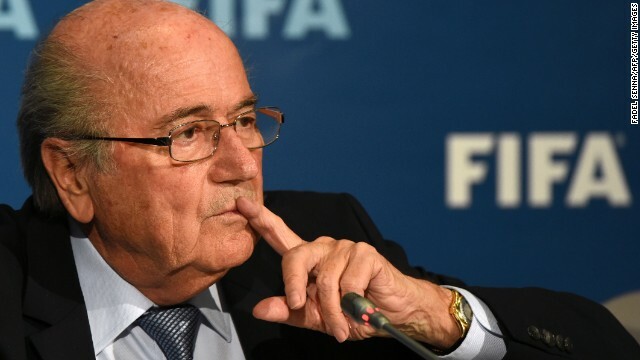 All eyes will remain firmly on Blatter as we enter 2015 and the FIFA presidential contest which will be held in May. The report is unlikely to be published any time soon given the legal constraints. More is likely to be revealed in the coming weeks but there are other avenues which could bring more revelations. The FBI is currently running an inquiry into whether there was any wrongdoing, while the Serious Fraud Office in the United Kingdom is doing similar work. For now thought, it's a case of wait and see.